The FishHunter Military Grade Portable Fish Finder 3.0 is a bestselling fish finder in the world of fishing. Small and portable, it uses a smartphone app and Bluetooth technology to deliver accurate information to your phone or tablet instantly. It’s small enough to fit into a pocket or tackle box, and it uses sonar to determine water depth and locate fish. Included in your purchase are the charging station, mini USB cable, manual and carrying case, and a car/boat charger. This fish finder is manufactured to military grade specifications, has a protective rubber coating, and claims to work for 8 hours on a single charge. So does it live up to the manufacturer’s claims? Find out in this review of the FishHunter Military Grade Portable Fish Finder. Made with military-grade materials and both waterproof and shock-proof, it can be used virtually anywhere, even for ice-fishing. It’s a rubber-coated bobber in a bright orange sleeve, so there’s no real danger of losing it. It weighs less than a pound and is small enough to tuck into your pocket. This fish finder features nighttime mode illumination, so you can fish during the day or at night. It’s powered by an internal 3.6 VDC 600 mAH battery, and the sonar transducer is Piezo-Electric Ceramic Crystal. In actual use, the battery lasts 6-8 hours, before it needs to be recharged, and it recharges fairly quickly. This fish finder is definitely one of the easiest to use fish finders on the market. While most other fish finders have to be attached to a boat, this fish finder is truly portable, thanks to Bluetooth technology. All you need is the app, which can be downloaded quickly and contains complete instructions. The app has some great features, including the ability to use GPS pin drops to track your locations. 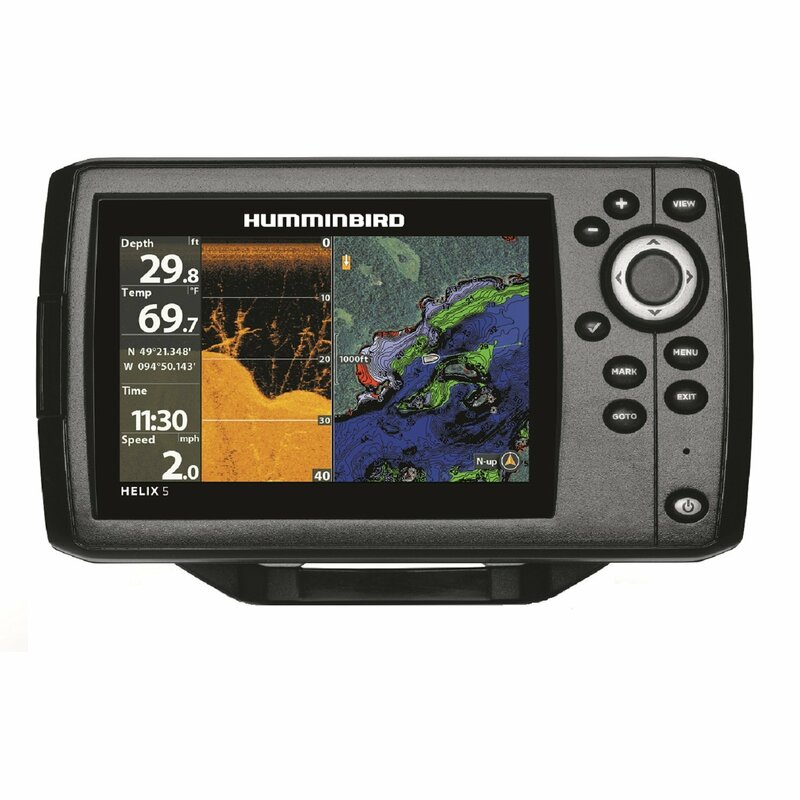 The easy to decipher fishview mode ensures that even the newest fishermen can find fish, even if they have no previous experience at all with fish finders. Just use your line to cast off the fish finder and start seeing the results instantly on your smartphone or tablet. You’ll be able to essentially map out all the contours of your chosen body of water with the sonar technology. The transducer operates on 381KHz, and it will show you a simplified 3-D overlay with pictures of the bottom of the water, (assuming it’s within the acceptable depth) and what it thinks are likely fish. You can also view raw sonar data, as with traditional fish finders. The FishHunter Military Grade can take readings down to a depth of 130 feet, beyond many fish finders at this price point. Fishermen can also mark their favorite fishing holes with GPS pins, and the FishHunter fish finder also allows for instant sharing to social media. It also features a recorder, which takes a snapshot every 60 seconds and stores those snapshots in a gallery for later viewing. FishHunter claims that the Bluetooth range is 150 feet, but the actual range seems to be a maximum of about 80 feet. The sleeve for the transducer is packaged separately. Don’t lose it! Overall, the FishHunter Military Grade is a good value and is easy to use, even for a novice. It has some really cool features that are typically only available on more expensive fish finders. It’s small and portable, which is a definite plus in a market filled with fish finders that have to be mounted for use. This fish finder does have a shorter Bluetooth range than the manufacturer claims, but the trade-off is that the app provides a much better display than other fish finders.